Are you a Speech Language Pathologist searching for your next or first SLP travel assignment? Stop searching for Speech Language Pathologist travel jobs and let AlliedTravelWeb.net assist you! AlliedTravelWeb is a free service for Speech Language Pathologists seeking SLP Travel Jobs. 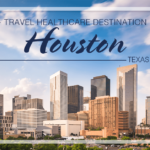 Trying to find traveling Speech Therapy jobs with reputable healthcare staffing travel companies can be a daunting task; there are many allied travel agencies with an excess of Speech Therapy travel positions and SLP travel jobs to choose from. AlliedTravelWeb.com helps to make your SLP job search less complicated. 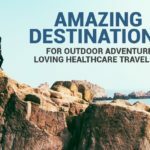 When you submit your Quick Profile, our partner Travel Allied healthcare staffing companies have many travel Therapy jobs for you to choose from and they compete for you so you get the travel therapy job YOU want. Speech Therapy jobs are available in many settings including: Hospitals (Acute Care, Long Term Care Acute Care and Rehab), Skilled Nursing Facilities, Home Health and Clinics. Many Speech Language Pathologist jobs are never posted. By submitting your Quick Profile, you will have access to an unlimited number of Speech Therapy jobs available through the premium travel companies we have partnered with. It is the purpose of AlliedTravelWeb.net to assist in making your Speech Therapy career both rewarding and exciting. We have the utmost respect for Speech Language Pathologists and the work therapists do. We believe the Speech Language Pathologist salary should reflect the hard work and dedication you exhibit in adhering to your “job description” as a Speech Language Pathologist. You are in huge demand for temporary SLP travel assignments throughout the nation. You can demand only the best assignments that are right for you. It’s time for travel therapy companies to compete for your expertise & dedication as a traveling Speech Language Pathologist because you DESERVE the best! Stop searching and let traveling jobs come to you. You have nothing to lose and so much to gain.